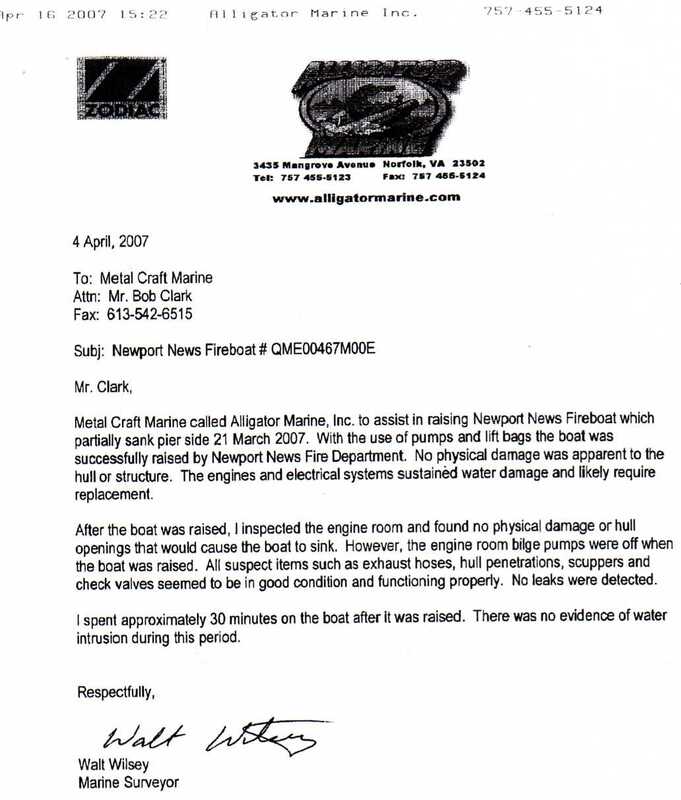 Metal Craft Marine called Alligator Marine, Inc. to assist in raising Newport News Fireboat which partially sank pier side 21 March 2007. With the use of pumps and lift bags the boat was successfully raised by Newport News Fire Department. No physical damage was apparent to the hull or structure. The engines and electrical systems sustained water damage and likely require replacement. Here's a scan of the original fax.